How to Recover from Google Panda and Penguin Updates Algorithm | ODosta Inc.
Google panda or penguin Google search k two major algorithms han, Jo searching results ki ranking or algorithm me useful changing k liye February 2011 me launch kiye gae thy. Ye ek filter ki tarha work karty han, yani ye scraper or poor quality content wali sites ko Google k top searching results me display hony nai dety. Panda or Penguin ne aaty hi bohut si high ranked websites ko Google search k top rank results me block kar diya hai, like; shoutmeloud.com etc. Jis se pata chalta hai k Google world wide web ko spam or bad sites se clean kar raha hai. Google team ka kehna hai k wo future me panda ka update release nai karen ge, kyun k panda Google search algorithm ka ek regular part ban chuka hai. Google Panda same Search engine optimization wali sites ko searching results me rank deny k liye four things check karta hai. Search Engine k result page par top ranking k liye agar two pages me uper di gae quantity same ho to phir Google check karta hai k kon sa page topic se related content bhi provide kar raha hai. Google Panda especially esi websites ko find/detect karny k liye release kiya gya hai, Jo Copied or Low quality content publish karti han. Google esi sites ko foran apni search me ban kar deta hai, Is liye as a blogger, aap esa content provide karen jo actual life me people ki help kary. Google panda sirf poor quality pages ko hi demote nai karta, Instead ye zyada poor quality pages ki waja se us domain ka page rank bi decrease kar deta hai. Penguin ko basically, (Google k head of Web-spam engineer, Matt Cutts k mutabiq) Over Optimization ko find/detect karny k liye develop kiya gya hai, kyun k on page optimization to limited hoti hai but off page optimization unlimited hai. Mostly Bloggers apny content ki quality to improve nai karty or off page optimization k through try karty han k un ka page rank improve ho jae, esy bloggers ko jan lena chahye k penguin ki kick unhi k liye hai. Esi sites jo keyword stuffing, un-naturally linking or isi tarha k other black hat seo tricks use karti han, Penguin un ko search me foran block kar deta hai. 1. 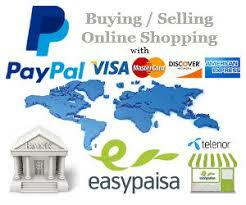 Long Terms k liye Top level domain purchase kar k Seo Friendly and easy to use web template use karen. 2. Zyada se zyada content post karny k chakkar me kabhi bhi duplicate content use na karen, agar aap kisi ka content copy kar k publish karen ge to koi aap ka content bhi publish kary ga Jis ka koi faeda nai hai, kyun k bohut se Plagiarism tools available han, Jo foran duplicate content ki report de dety han. Website ka content Unique or High quality hona chahye or har post/ page par user ko topic se related complete information provide karen. Content write karty howe images zaroor use karen, Jis k liye web se primary concern images download kar k apni requirement k mutabiq edit kar len. 3. User ko confidence k sath information provide karen, Agar zaroorat ho to post me more information k liye more information k links add karen. 4. Apni Website par user k liye Searching ki option zaroor provide karen, ta k user ko related content find karny me difficulty na ho. 5. koi bhi post publish karty howe us ki keyword density ka khas khyal rakhen, Jis ki normally ratio 1:5 hai, Jis ka matlab ye hai k jin keywords k liye aap apni post ki optimization karna chahty han wo aap k content me use hony k ilawa title, meta, description, tag or keywords me 5 times use hony chahyen, Agar is se zyada same keywords add karen ge to Google Penguin aap ko over-Optimization or black hat techniques use karny ki waja se kick off kar de ga.
6. kabhi bhi Website/ blog par spam services or products provide na karen, Jis se user aap ki site k mutaliq bad comments/ reviews publish kary. 7. Kisi site ka Click-through-rate jitna zyada ho ga, Google Algorithm k through wo site utni zyada secure ho gi, Is liye koshish karen k aap ki site ka click through rate increase ho jo sirf usi waqt possible hai jab aap ka har page quality content or proper optimization ki waja rank well ho. 8. Agar aap apny content par Google ki PPC Services use kar rahy han to,You need to Most be careful k kahin Adsense Account block hony ki waja se Google panda aap ki site ko black list na kar dy. 9. Kisi bhi site par Spelling or Grammar ki mistakes ko user kabhi accept nai karta. Proof reading na hony ki waja se site ki worth to definitely kam ho gi, but Is k sath Google Panda aap ki site ko black-listed sites me bhi shamil kar de ga.
10. Jab bhi koi text link add karen, Us ka Anchor text link se related insert karen or kisi copyright material ka link use karny k liye us k Owner ya company ka name Anchor text me zaroor write karen, kyun k small companies to zyada khyal nai kartin, but large companies Google ko aap ki complain kar sakti han. 11. Agar kisi site ka page load time zyada ho, bohut se broken links 404 error page par redirect hoty hon, Site ka bounce rate bohut zyada ho, Seo bohut hi poor ho, Single post me content bohut kam ho, Spam comments block na hony ki waja se spam links bhi published hon ya over all site ki performance achi na ho to Google panda esi site ko Search Engine me block kar deta hai. 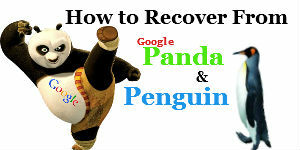 How to Recover Your Site From Google Panda & Penguin? Uper di gae all tips to Google panda or penguin updates me demote hony se website ki safty k liye use ki jati han. Agar aap ki site Black list ho chuki hai to usy Recover karny k liye uper di gae instructions ko reverse follow karen, Google Panda or Penguin khud hi aap ki site ko recover kar den ge. Basically, Google Panda or Penguin ko esy Scammers ki filtration k liye design kiya gya hai, Jo khud ko dhokha dety howe kisi short cut ki talash me hoty han, Esy log panda k launch hony k bad se tension me han. Agar aap ka content copied nai hai or aap ko pareshan hony ki zaroorat nai hai and If You are kicked off due to Black-Hat-Techniques at Searching Results page by Google panda, You should share your experience with others to minimize your suffer.